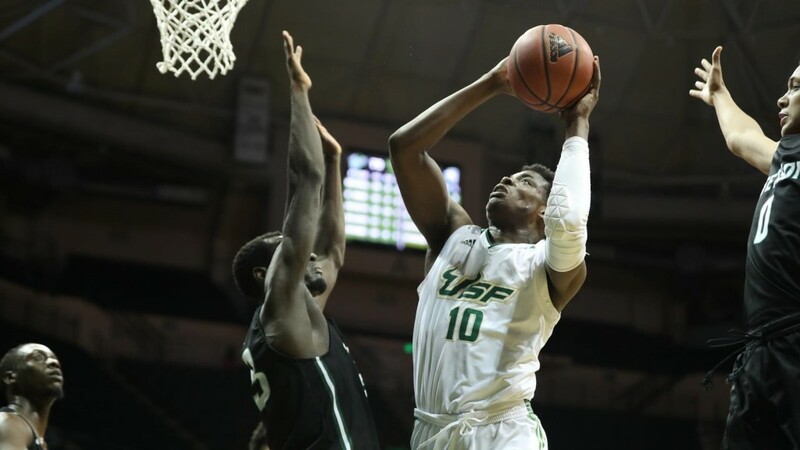 USF men's basketball (5-2) beat Stetson (1-7) on Wednesday by a small margin of just four points, capping off the night with a 75-71 victory at the Yuengling Center after a tournament in the U.S. Virgin Islands. The teams had almost complete opposite records going into Wednesday’s game and many people expected the Bulls to take this game at home without an issue. Instead, the Bulls and the Hatters were neck-and-neck almost all night. USF was able to win, but only after some halftime adjustments to help propel the team forward. USF came into this game against Stetson ready to execute defensively, according to coach Brian Gregory, who said the past two practices were spent on zone defense, but struggled with rebounds on defense and protecting the paint. On the offensive side, there was success for most possessions. Alexis Yetna and Laquincy Rideau provided offensive spark for the team, as Yetna was able to score baskets and then drain a three-pointer shortly after. Rideau displayed his versatility on the court early, spreading the ball around for three assists, getting two rebounds and hitting a three of his own. Even still, the team did not seem to have a smooth and steady flow set just yet. Nearing the end of the first half, the Bulls began to pick up the pace on offense. They gained a lead of six points before the buzzer as Rideau continued to score. He was able to get to the free-throw line, and added another three to his total. Ending the half, Rideau totaled 12 points, three rebounds and four assists. “We were able to turn them over a little more in the second half, kind of get our offense flowing and our bigs did great job of posting up to get offensive rebounds,” Lang said. It was a bit of a slow start for the second half, as Stetson was able to shorten the gap after back-to-back buckets. David Collins showed his defensive prowess with two steals on consecutive drives — both ended with points for USF. 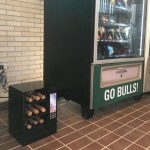 The Bulls, however, did not take long to pick the pace back up on offense as they extended their lead to nine before the halfway point in the second half. After only scoring three points in the first half, Antun Maricevic became a force on offense and added seven more points to help push his team forward. As the end of the second half was nearing, so was the score. The teams were only separated by three points in the last two minutes. The Bulls held on and Yetna helped led the way as he scored the final two baskets. He finished the game with 18 points, 13 rebounds and two assists, leading the team in points and rebounds.